Graphic Design is a process as an art of communication made by stylizing and problem solving through the use of type, space and image. It may be referred to be as a subset of visual communication and visual design. A graphic designer communicates his creation by uniting words, designs, images and symbols AND creates wonderful graphics utilizing tools like typography, visual arts, page layout techniques, etc to give proper shape to the final product. 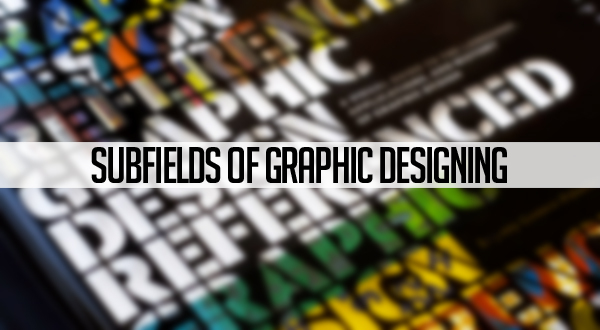 Thus Graphic Designing is an umbrella term for both the process of designing as well as the design itself. Nowadays with the progress and use of technology in each field, web designing or graphic designing has gained immense popularity. We find graphic designs almost everywhere from road designs to technical schematics, reference and user manuals to memorandums. Graphic Design is informative to an extent and thereby helps in the enhancement and transmission of knowledge and visual images. It is useful in selling a product as people get attracted to a superbly designed commodity rather than a poor one. The visual communication made through the use of sound and appropriate graphic designs are helpful in attracting a lot of customers to the organization and thus increase sales and lead to profit maximization. Branding that has become an important aspect of an organization nowadays is also influenced a lot by graphic designs which has its presence in the logos, colors, packaging and the text as well. The key features to be a successful graphic designer apart from the technical know how is the mind, more precisely a creative mind with sound judgmental, critical and observational skill with superb quantitative and analytical abilities to create exquisite design layouts. There are various sub-fields of graphic designing that has become common and used in vogue in the recent times such as user interface design, user experience design and experimental graphic design. With the passage of time, there has been a vast change in the entire graphic designing scenario and new trends develop almost on a frequent basis. While it has incorporated killer designs and strategies, predictions can be made for the upcoming Graphic Design trends, 2015, based on the trends observed in the current year. A flux of web and graphic designers has entered the market and has changed the entire outlook of working in the associated field of designing. The trends for the forthcoming year are quite simple as the designers are focused on keeping the designs high on the sophistication side and less complicated. Flat Design will make its appearance with swapping the outdated features, patterns, shadows, gradients and bubbles as the designers want to maintain the simplicity of their creation and hold on to the same sweetness. Designers engaged in Graphic Designing have understood the advantage of using simple, smooth and clean elements on the flat screen. Moreover it offers less scope for clicking and is more on scrolling. A scrolling page is of much advantage to the user than a page with a lot of information that the user needs to click through as they are scattered in different places. Mobile websites will be in vogue along with Typography leading as the king as it makes the use of high quality fonts that are available nowadays at affordable prices. 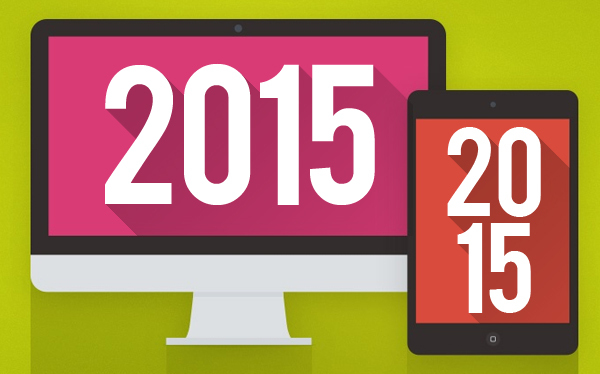 very nice post, but I still want to configure besides the flat design, what kind of design will used in 2015? Because I will have a calendar project for 2015..